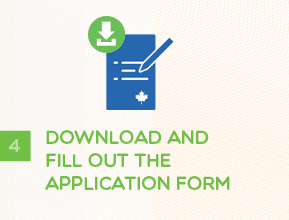 Get a badge for exploring all the steps to apply for Canadian citizenship! Currently, it takes 12 months to process a citizenship application. This time always changes, and you can find the most updated processing times on the IRCC website. 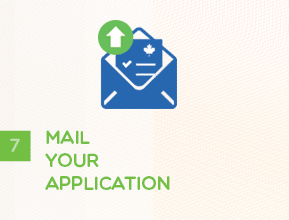 You can check your application status online or call the IRCC Call Centre at 1-888-242‑2100 for more information. Your application may be returned. 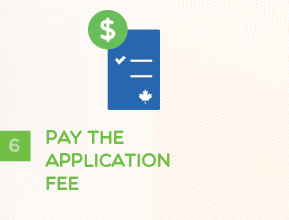 IRCC might review your application and return it for a few reasons. They will tell you what your options are when they return your application. Your application will be processed. IRCC will notify you and make a decision about your file, and whether to ask you for more information. You may be asked for an interview, to appear for in front of a citizenship judge, or to take a citizenship test. Find more details about what happens after you apply on the IRCC website. What happens if I move after I apply? You need to tell IRCC that you changed your address, whether you moved to a new apartment or a new country. If you don’t do this, you may not get important documents from IRCC, and this may delay your application or cause IRCC to refuse it. Will I be asked to come in for an interview? Not everyone is interviewed. You may be asked for an interview so IRCC can review your application and documents with you. 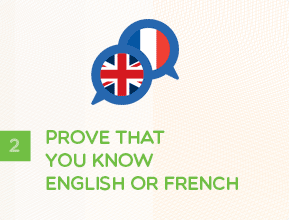 You may also be evaluated on your knowledge of English, and/or French, and Canada. Am I going to get a residence questionnaire? Not everyone gets a residence questionnaire after submitting their citizenship applications. However, as IRCC has been standardizing their citizenship application process, more people are being asked to fill one out. What if I live with my parents and have no bills to prove my residency? If you live with your parents and have no bills in your name to prove your residency, you should still try to provide as much information about your residency in Canada, including information about living with your parents. What if I have been in prison, parole, or probation? You cannot become a citizen if you are in prison, on parole or on probation. If you are on probation or are charged with an offence and are awaiting trial, you should wait until after the probation has ended or the trial is over to apply for citizenship. 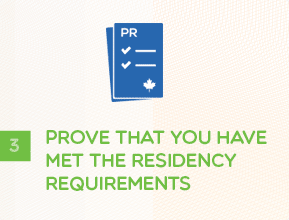 However, your time in prison or parole may not count towards residence in Canada, so you may not meet the residence requirement to apply for citizenship. What if I have been ordered to leave Canada? If you have been ordered to leave Canada (a Removal Order), you cannot apply to become a Canadian citizen. What if I change my name after I apply? If you legally change your name after you have applied for citizenship, you have a few options. You can submit supporting documents to IRCC letting them know your name has changed. Alternatively, you can choose to let IRCC continue processing your application, and file a request to change your name after you get a citizenship certificate.